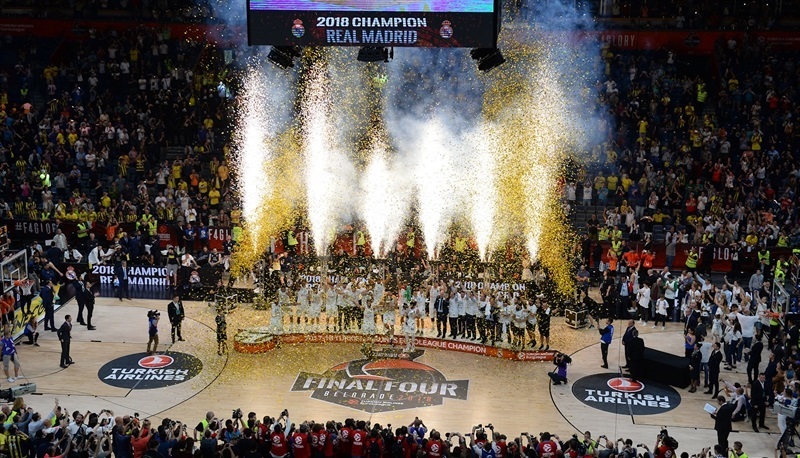 Real Madrid became the first team to win 10 EuroLeague titles by defeating Fenerbahce Dogus Istanbul 85-80 in the Turkish Airlines EuroLeague Championship Game at Stark Arena in Belgrade, Serbia on Sunday. 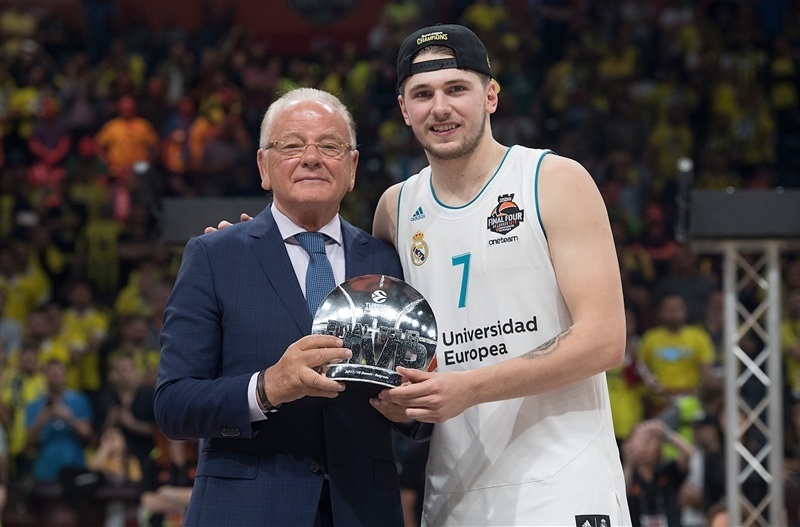 Fabien Causeur started and scored a team-high 17 points and Luka Doncic tallied 15 points and 4 assists to earn Final Four MVP honors. 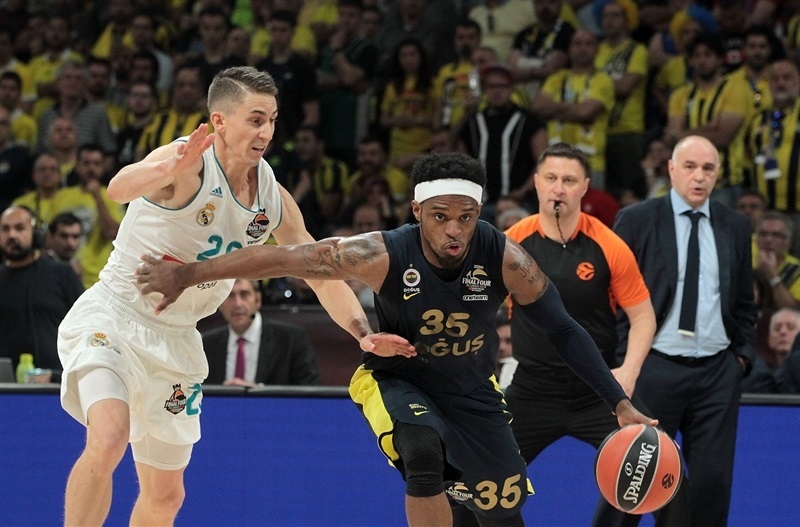 Trey Thompkins added 10 points in a true team effort that saw 11 different Madrid players score. 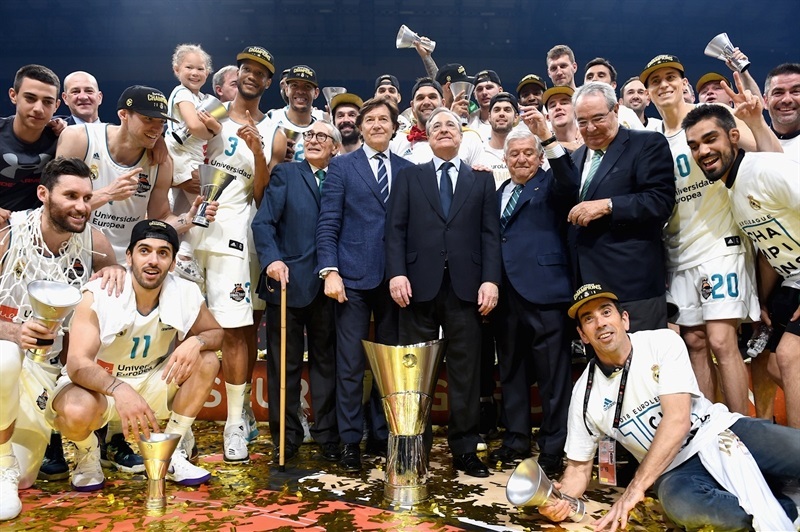 Pablo Laso became the first Spanish coach in 37 years to win multiple EuroLeague titles, while Rudy Fernandez, Sergio Llull, Felipe Reyes, Facu Campazzo, Gustavo Ayon and Jaycee Carroll each won his second EuroLeague ring. 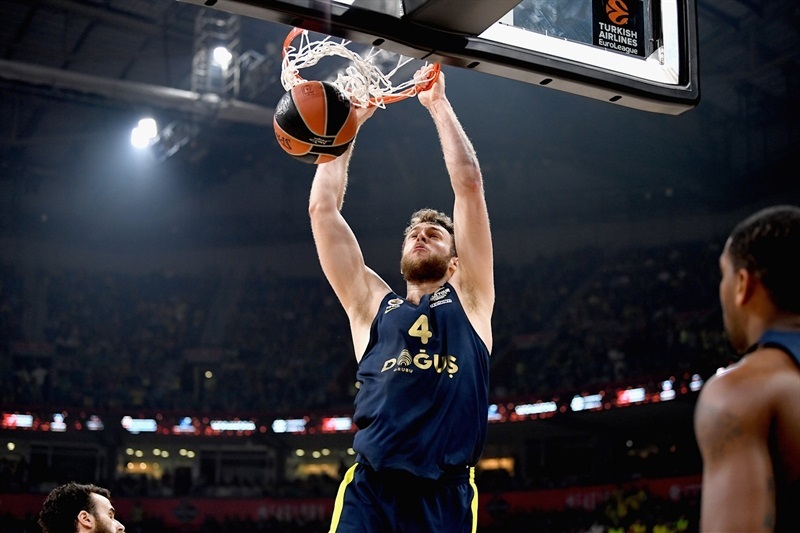 Nicolo Melli paced Fenerbahce with 28 points, setting a new Championship Game scoring record in the Final Four era - Manu Ginobili, Antoine Rigaudeau, Dejan Bodiroga and Zoran Savic shared the previous record with 27 points apiece. 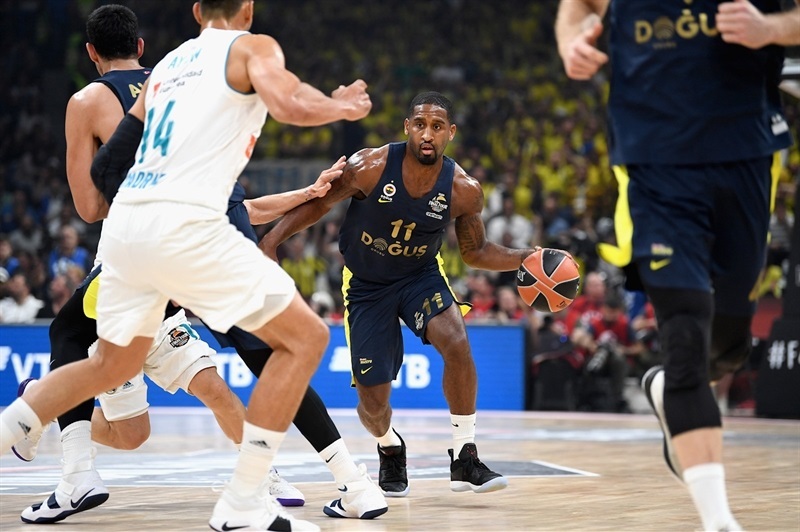 Brad Wanamaker scored 14 and dished 5 assists in defeat. 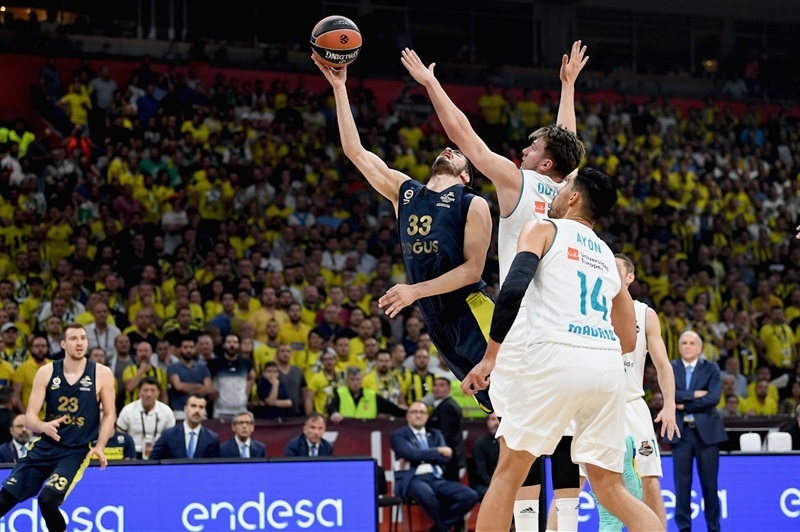 Fenerbahce led 38-40 at halftime, but Los Blancos scored the first 7 points if the second half and never trailed again. 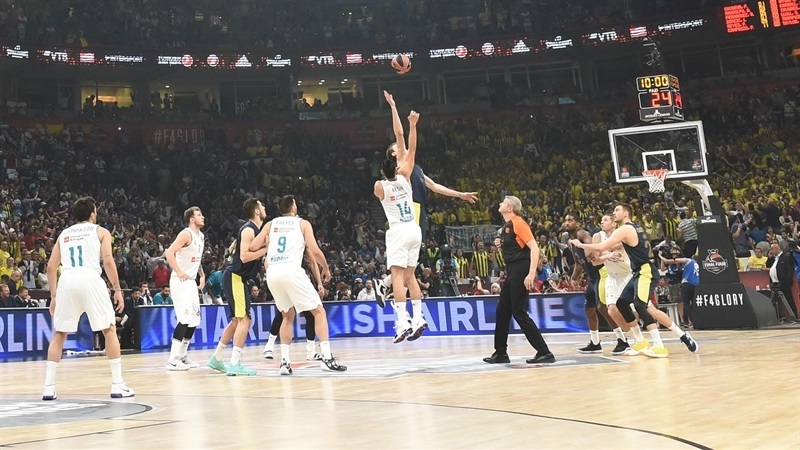 The lead peaked at 11 in the fourth quarter before Fenerbahce rallied late to get within 3, but Causeur iced the game from the line. 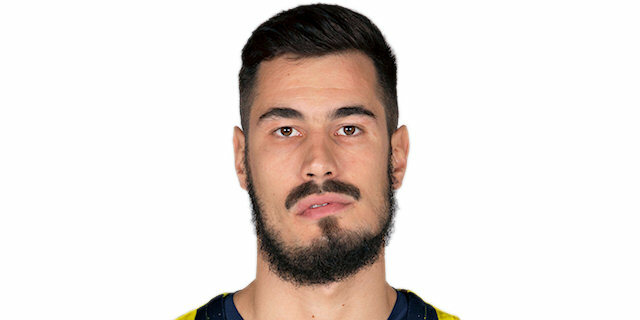 Ahmet Duverioglu's layup opened the scoring and Nikola Kalinic added a triple to make it 0-5. 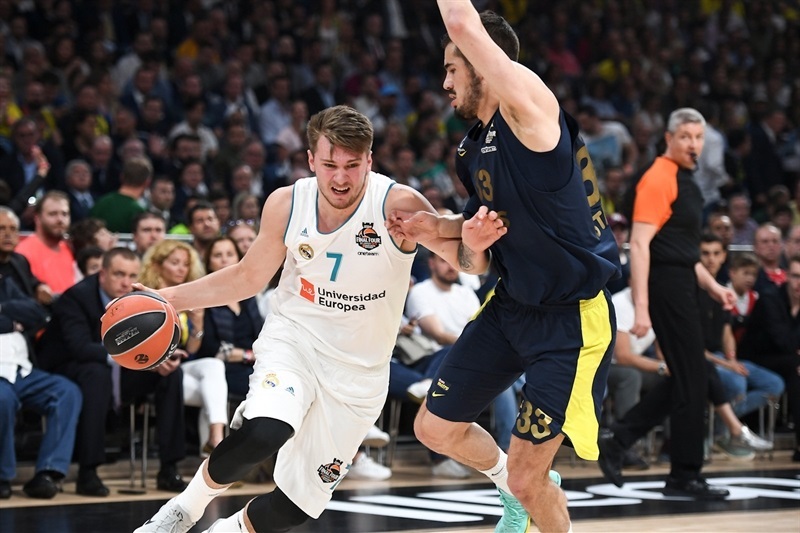 Doncic started the Madrid tally with a fastbreak layup and followed it with a short jumper. 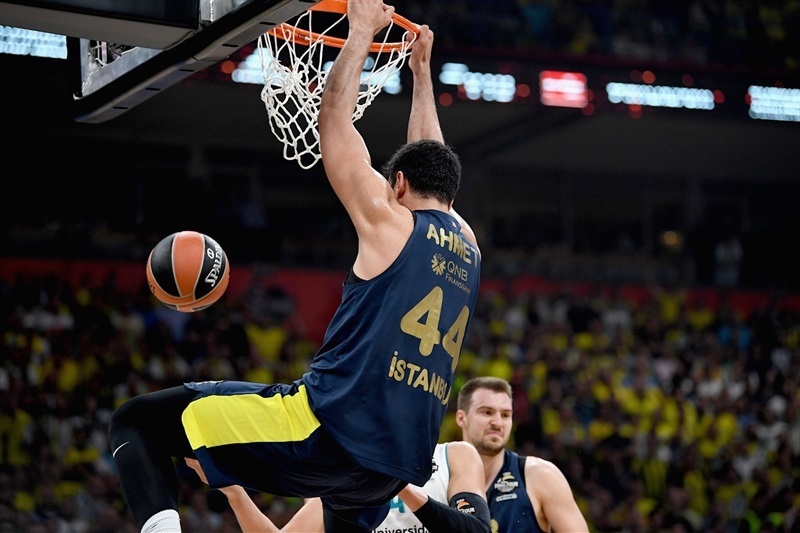 But Duverioglu and Kalinic each scored from few feet away before Duverioglu’s dunk made it 6-11. 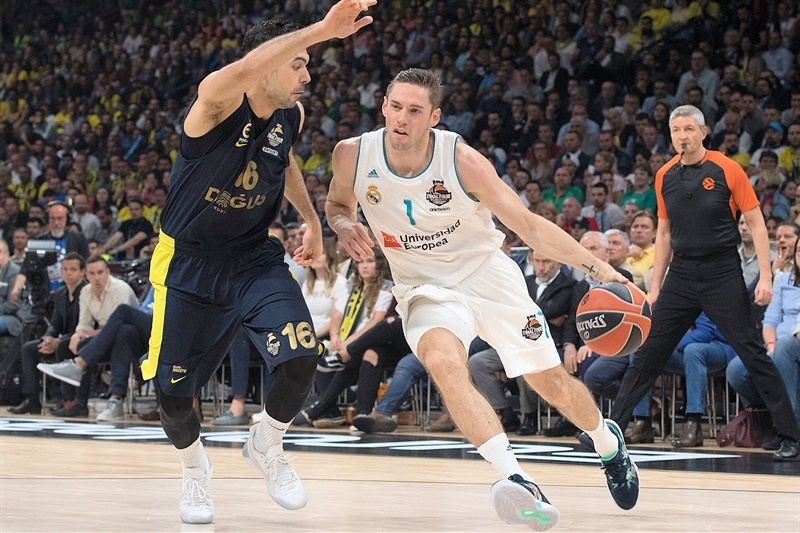 Fabien Causeur knocked down a three for Madrid and after Duveriouglu got his personal tally to 8 points, Ayon made a long hook-shot, followed by back-to-back triples by Rudy Fernandez and Sergio Llul to give Madrid an 18-15 edge. 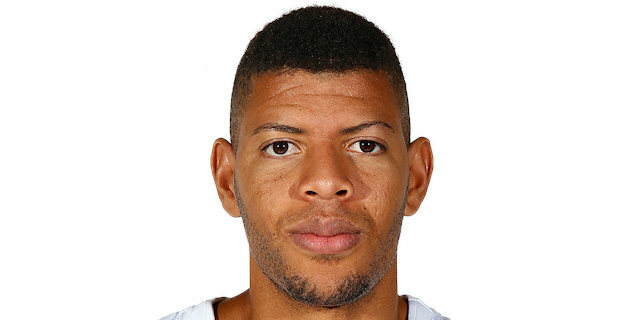 Kostas Sloukas snapped Fenerbahce’s three-minute drought without a field goal with a driving reverse layup, but Anthony Randolph nailed a last-second three to make it 21-17 after 10 minutes. 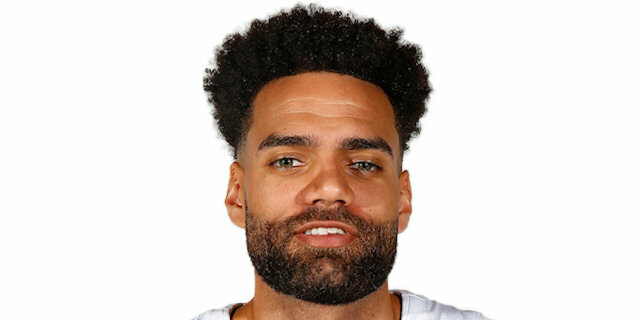 Jeffery Taylor had a fastbreak dunk and Walter Tavares scored inside to extend it to 25-17 just 90 seconds into the second quarter. 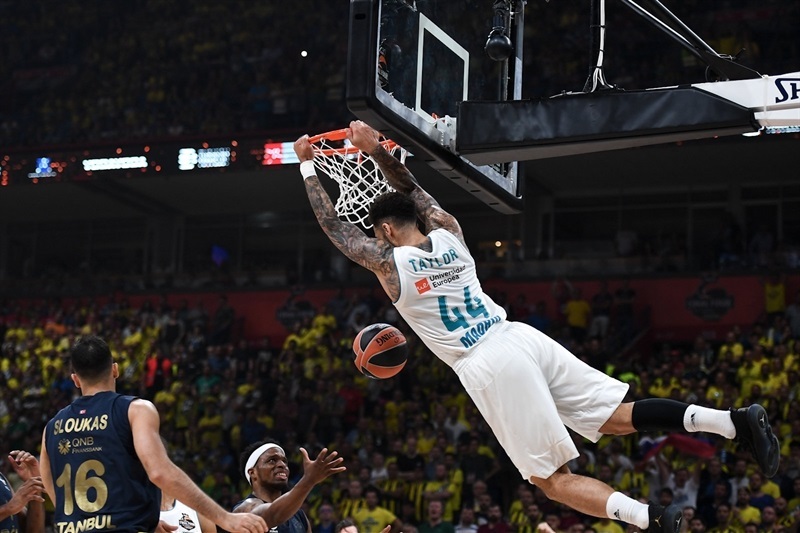 Fenerbahce needed another minute to score its first points, a triple from Melli, who also strung together a layup and a fastbreak dunk to close the gap, before a step-back jumper from Luigi Datome and another layup from Melli made it 29-28, prompting a Madrid timeout. 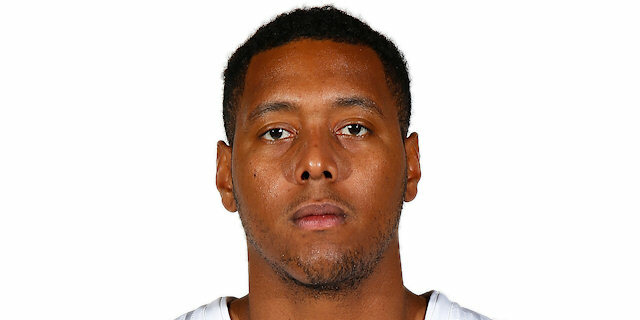 A floater by Carroll and a long baseline jumper from Trey Thompkins gave Madrid some breathing room, but only briefly. 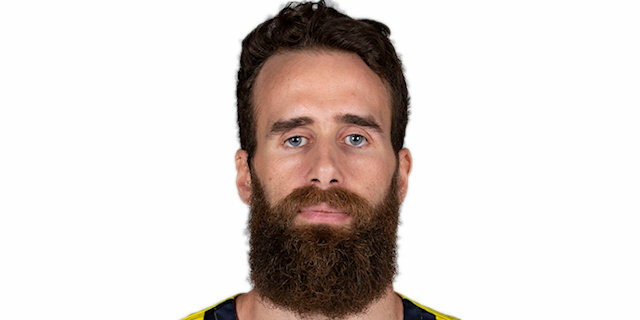 Sloukas drove through the defense for a runner before Brad Wanamaker made free throws to restore Fenerbahce’s lead. In the final minute, Carroll and Sloukas traded three-pointers as Fenerbahce went into the break in front 38-40. 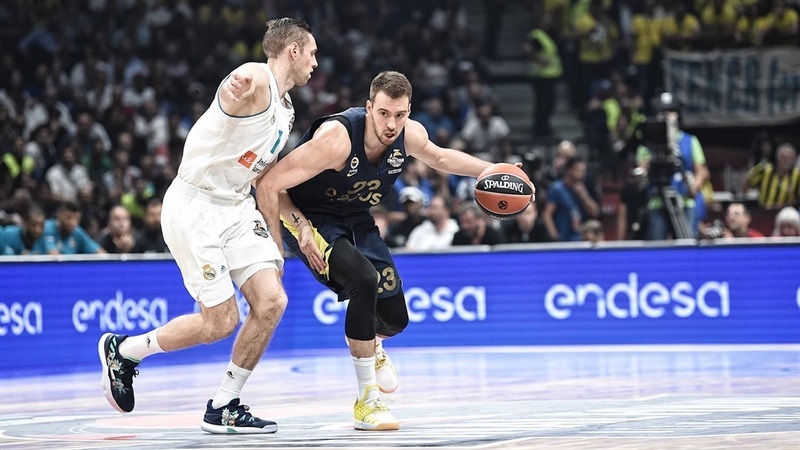 Madrid scored the first 7 points of the third quarter, with Causeur hitting a triple and Ayon putting a move on Jan Vesely inside, to lead 45-40. 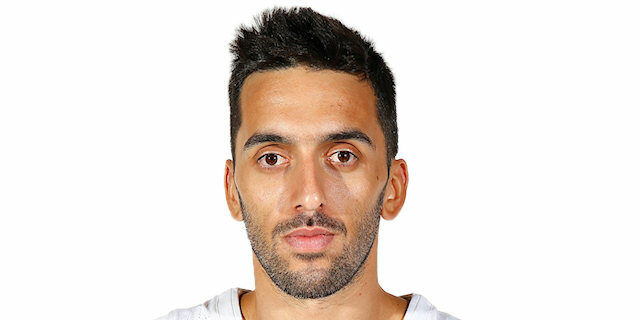 Melli got Fenerbahce going, first trading near-impossible baskets in the crowd with Felipe Reyes and then trading triples with Causeur. 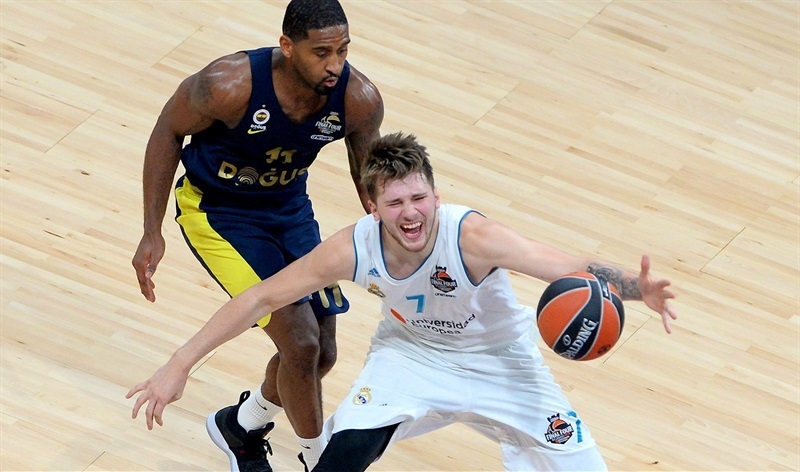 Wanamaker had a three-point play that cut the margin to 50-48 and also nailed a long jumper that Doncic bettered with a transition three-pointer. Causeur banked in a tough runner to open a 59-52 margin with more than two minutes left in the quarter. 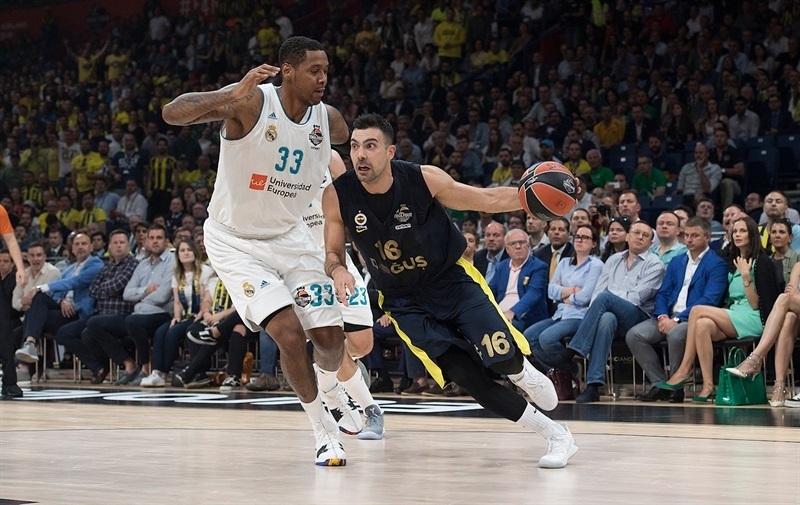 Kalinic had a monster dunk for Fenerbahce, but Tavares's put-back helped Madrid head into the fourth quarter with a 63-55 advantage. 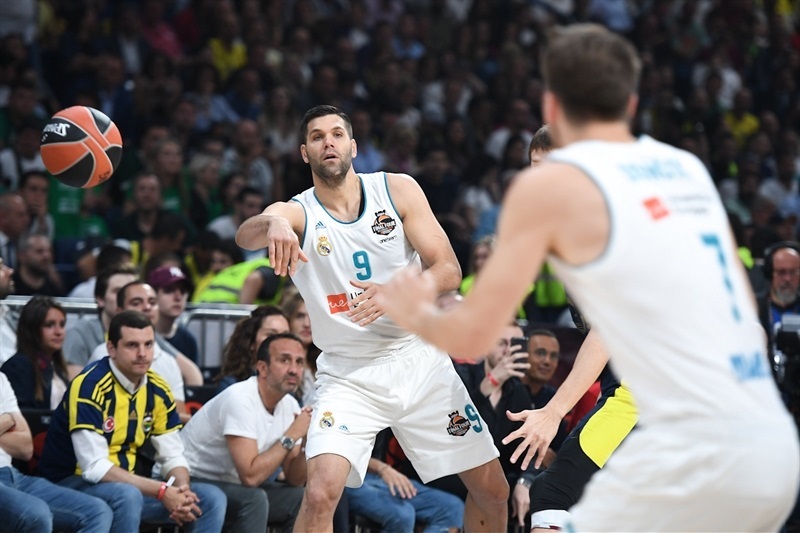 Llull committed his fourth personal foul early in the fourth quarter and Madrid was held without a field goal for more than three minutes to open the fourth quarter. 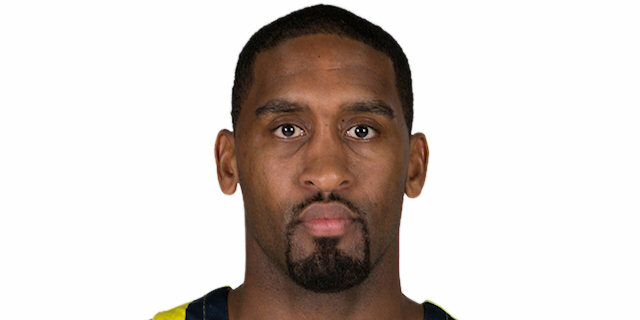 Fenerbahce cut the deficit to 66-61 through Melli who had a three-point play and a three-pointer. 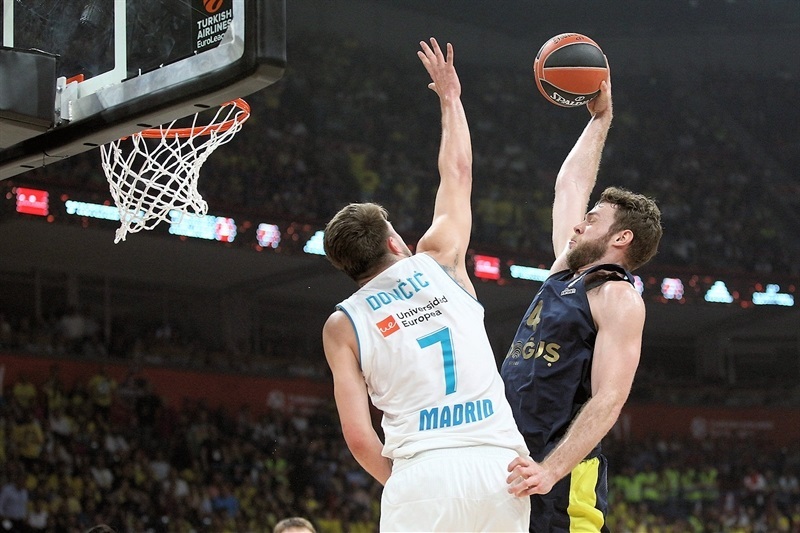 But after Sloukas missed a pull-up three-pointer, Vesely’s unsportsmanlike foul resulted in free throws from Doncic and a triple from Carroll as the margin went up to 61-51 with exactly six minutes to go. 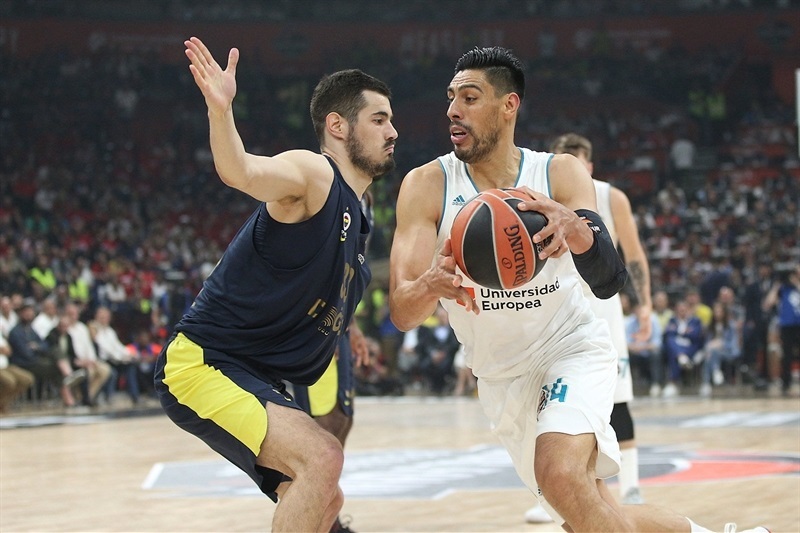 In the next four minutes, Madrid only managed 3 free throws, but also pulled down 3 offensive rebounds, enough to extend the margin to 74-63. 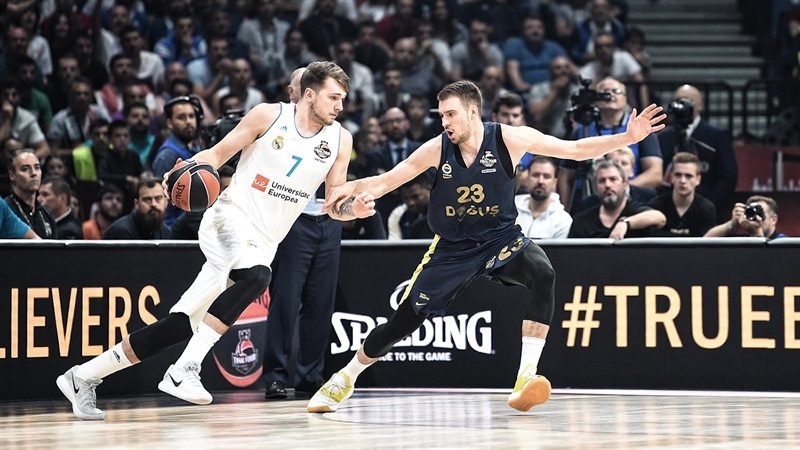 Melli hit a triple and Ali Muhammed made a tough layup to get within 74-69, but Tavares, Thompkins and Doncic each made a pair of free throws to extend the difference to 9 points with 1:23 to go. 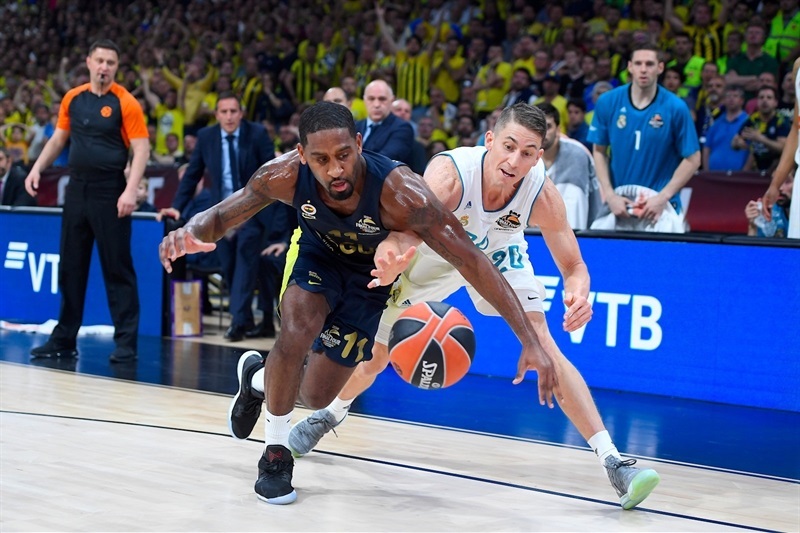 Fenerbahce was not going away, however, as Wanamaker got to the line twice and made all 4 fouls shots before Muhammed nailed a three-pointer with 22.4 seconds to go to bring Fenerbahce to 81-78. 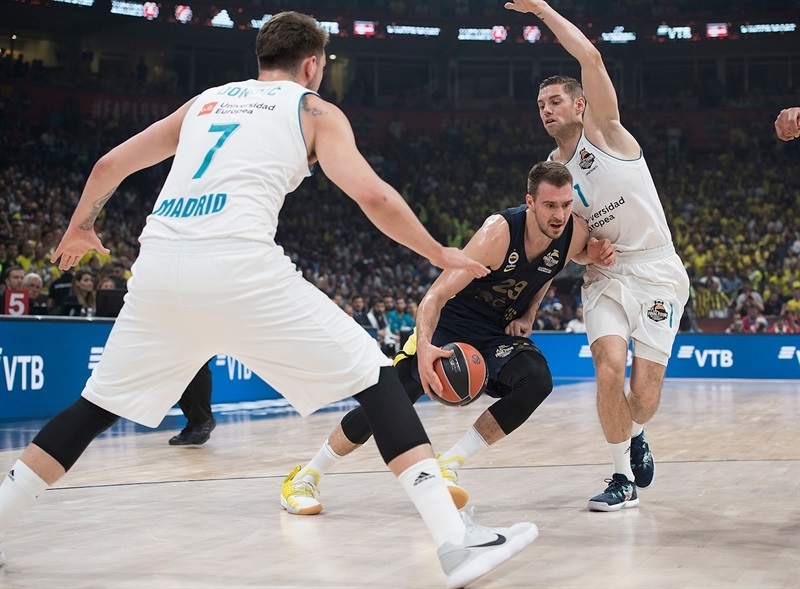 Causeur got to the line 4 seconds later and missed both of his free throws, but Thompkins was there for a put-back to make it a 5-point advantage, which Madrid preserved in the final seconds. "I always start the press conference and congratulate the players because I think they did a great job. Today and Friday, and if you go back to the first day of practice, you don’t achieve these kinds of goals without working hard since the first day. It’s been an unbelievable year for us. In December we played with seven guys out. The team stepped up in those moments. I am proud of the team for what they did all season. They sacrificed themselves all season and we grew as a team and finally we got this on an unbelievable weekend. It was a great game of basketball. The whole weekend was amazing. The four games that we saw we’re talking about the best basketball in the world. I am very happy and very proud to be the European champions." "I don’t know if it’s my second favorite city, but my wife is very happy here. She told me we have to come here again, but no basketball. I told her that would be difficult, but she said no basketball. It's true that I have never won a game here before this season; 2018 has been a pretty good year to play in Belgrade. I hope when we play here next year we will have more confidence. I love this city. I have been here many times. It’s a city of basketball." "Real Madrid is Real Madrid and Fenerbahce is Fenerbahce. My respect for Fenerbahce as a team and organization is very high. They have played this game three years in a row. And it is not only Zeljko. It talks about the whole organization. We knew how difficult it is to beat this team. But we had a plan and we followed our plan, and we never gave up when they hurt us. We never doubted in the whole game - only a little bit at the end because they are a team with heart. But everybody was ready and they did their job. And we beat them in Real Madrid style." 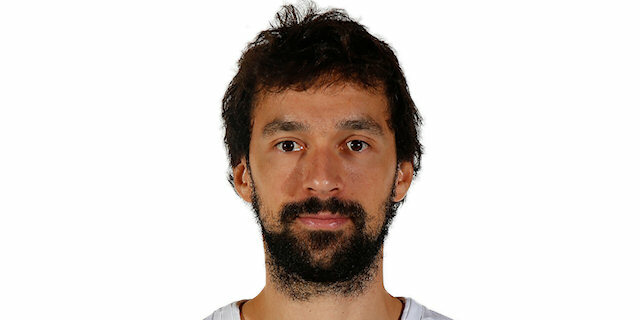 "When a guy like Llull, who is a star, sacrifices his fouls to stop a star, that speaks about him as a guy. 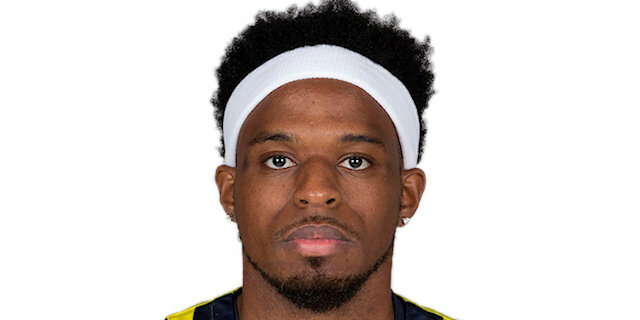 We knew Bobby Dixon was a guy that could change the game. But we stuck to the plan. This is a victory of the whole team. 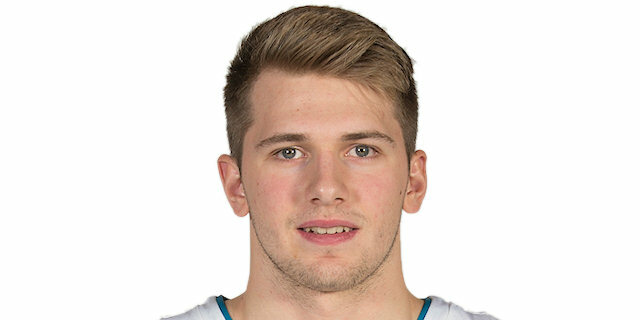 Luka got the MVP and I am happy about that. But this team stayed together for the whole season." 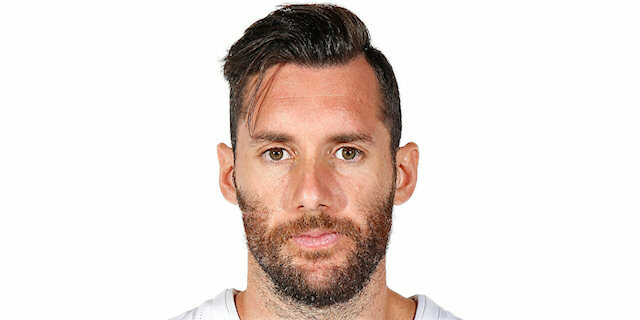 "I want to congratulate Real Madrid for their victory today and the championship. They had a tough season, they had a lot of problems during the season with a lot of injured players. I am happy they came back to health and were able to play. They showed the team that they are and I think they deserve to win today. I also really want to congratulate my players. They make me really proud of everything they did this season, especially getting back to the final. I also want to thank the incredible support from the people of Fenerbahce. Whenever we play - any place, any game, we always have incredible support from them. They have always been a big part of our success. "The small details decided the game. We didn’t play defense the normal way for us. We missed some really, really very easy shots from under the basket. We fought until the end of the game. 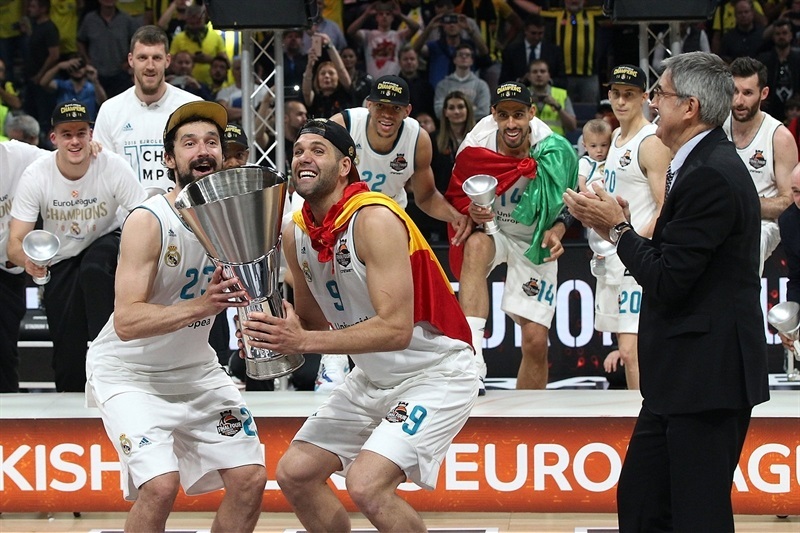 I hope that also for some of [the players], this will be very good and a positive experience to be ready for next year and try to get back to the Final Four. 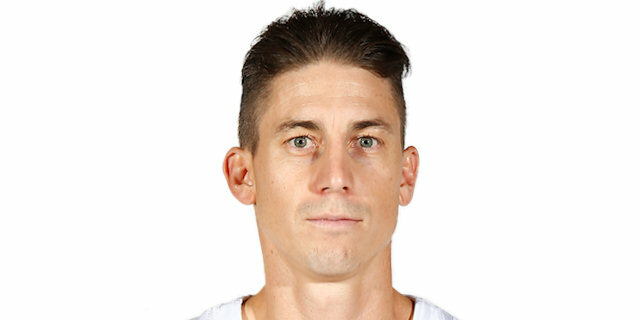 "In the first half, there were three or four situations we reacted badly. We over-helped. You have to have concentration. 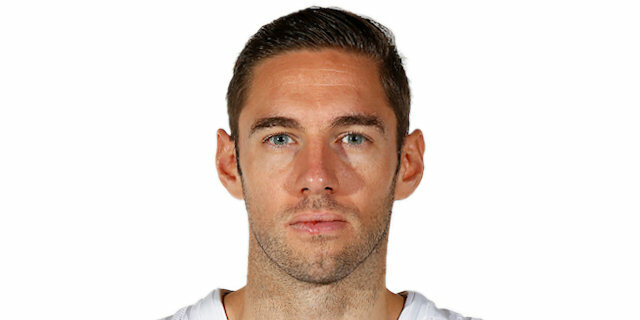 In the second half they had a lot of easy drives, especially Causeur. He had a lot of penetration. They have quality, they are a good team. 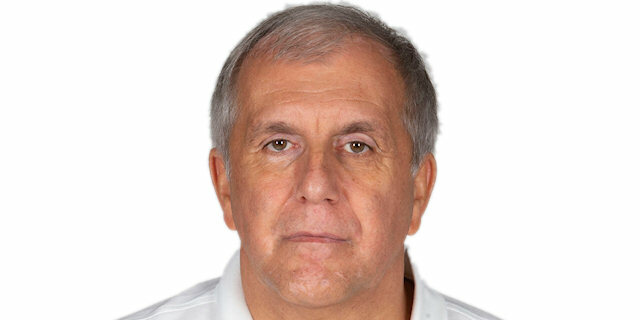 "Thanks to EuroLeague for bringing the Final Four to Belgrade - my city, my country. I think the organization of the Final Four was perfect. And I want to thank everybody who was involved in the organization of this event. I hope that all the people from the outside feel really good in Belgrade. And if there is an opportunity, I hope it’s something we can repeat." "We came here as the underdogs. But we had an unbelievable year. We overcame all obstacles and got to the playoffs, and won that. It was super tough. We made the Final Four as underdogs and played two great games against great opponents. We played a great game on defense and controlled the rebounds. They also played a good game, but we dominated the most important aspects of the game." "I still can't believe it. This is the biggest award in Europe and we got it. You got to come through Madrid if you want it now. I think this is the biggest rebound and a basket of my life. We are a resilient team. All year we have been fighting. It has been our motto, whatever it takes, and tonight we literally did whatever it took to get a victory. And we got it. We got the trophy that everyone wants. We are the champs, baby!" "This is unbelievable. It still hasn’t settled in. I won two major championships in a 10-month period. It was an amazing experience to go through this with this team, we had so many injuries throughout the whole year. But everybody stepped up, did his job. It was a full team effort. We just wanted to play our game today. They play physical, but we did a great job and kept on plugging away. And we knew no matter how much we are up, they are always going to come back because they are a great team, coached by a great coach." "We got here at our best moment because we are happy and we are together. In the locker room you can feel that camaraderie and confidence and trust. I am really happy to have reached this point. Thompkins's put back was half the game and we are really happy to have taken this title. 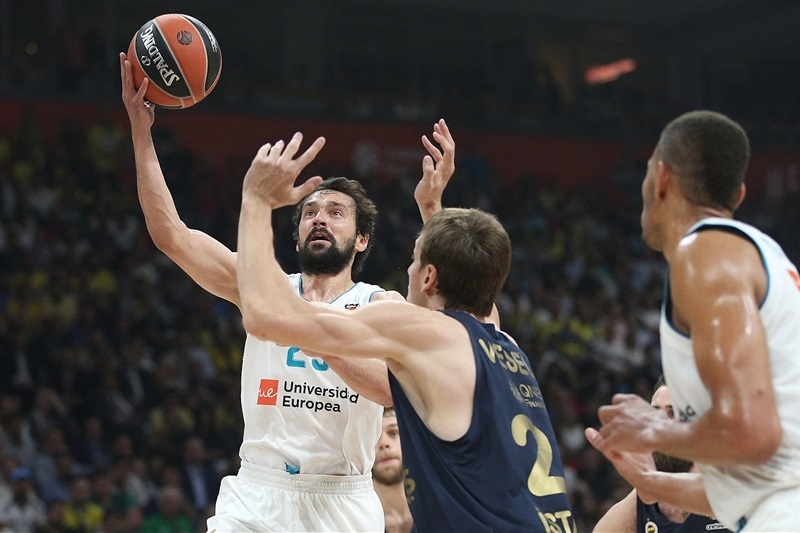 Llull was unbelievable in his recovery and his comeback. In four years we have won this twice, and I dedicate it to my family and everyone who has supported me." "It took a lot of heart and belief. The whole year we were missing half the team. Sometimes I would look down the bench, and we had seven players sitting. But we believed in the coaches, we believed in each other. During the year we learned some lessons, and now it is unbelievable. I try to do whatever is needed for the team. We have a lot of scorers on the team, so I am not needed to score. 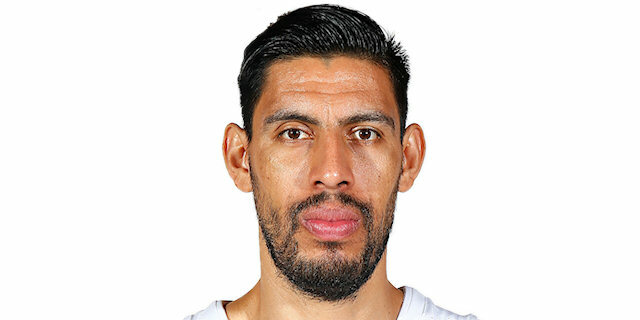 I am needed to play defense, to stop guys, make it hard for the other team, and I just always try to do my job. And now we are here. You win championships by having players on your team that accept their roles, and everybody on this team did their job. That’s why we won." "Super excited, the 10th, our second, my second... What a great night. We played tough, we played physical, we made shots when we needed to and defensively we were solid. 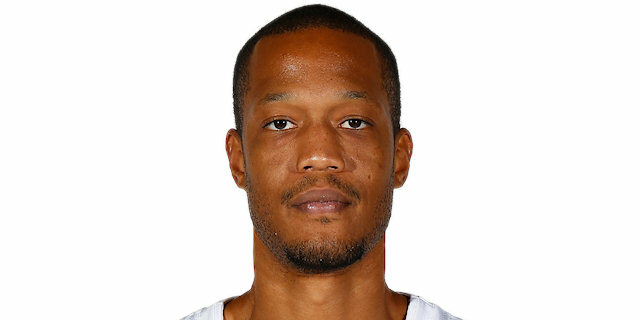 I feel a little calmer than the first time, but I am very happy for our team." "It was really special. The first one was because I was out of Argentina for the first time, crossing the pond, getting to Madrid... But the Madrid team welcomed me as I was part of the family. The team suffered a lot this year with injuries in good and bad games. We took some weight off our shoulders because the way here was tough. We are the winningest team ever and we must think about that responsibility all the time." "It's unbelievable. I repeated all week that it was a tough year with many injuries. You can see the spirit of this team. 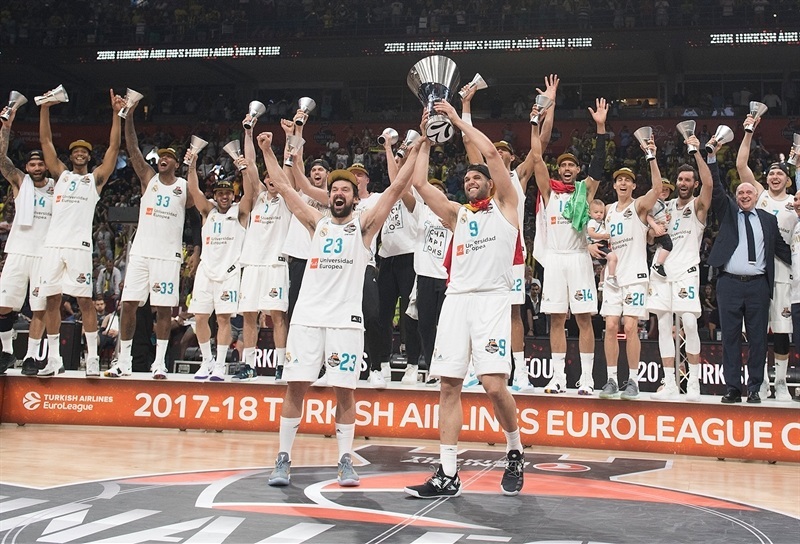 Getting to the Final Four and winning it, by defeating CSKA and Fenerbahce, who were first and second in the regular season, it's unbelievable. We knew Fener always fills the stands with fans, but we knew we had to do our jobs and that's what we did." "Who would have said it? I was in the street in Cape Verde, sitting bored under a tree and now I am here, seven years later. It's unbelievable. I hit the 2 free throws because when I miss, my teammates hit me [laughs]. I thought about that. It's my first time so I will celebrate this big time." "I don't have the words. This is an amazing feeling. It has been very special for me. We fought until the end. I am glad to have these teammates and coaches. I am really happy. There have been talks about me handling the pressure, but the truth is that when I step on the court I do it to have fun. If I do not have fun, it's no good. Every possession matters and that's what we did today. The key was to be always a team, when losing and winning. I have faith in these guys and we did a great job. I am glad to be in Madrid because we are like a family." "I am really happy. I am feeling amazing. We worked hard all year with the injuries. We grew up a lot this year and we deserve it. I am tired because we gave everything on the court. Now our fans can celebrate and so can we. To celebrate, we always have the energy!" 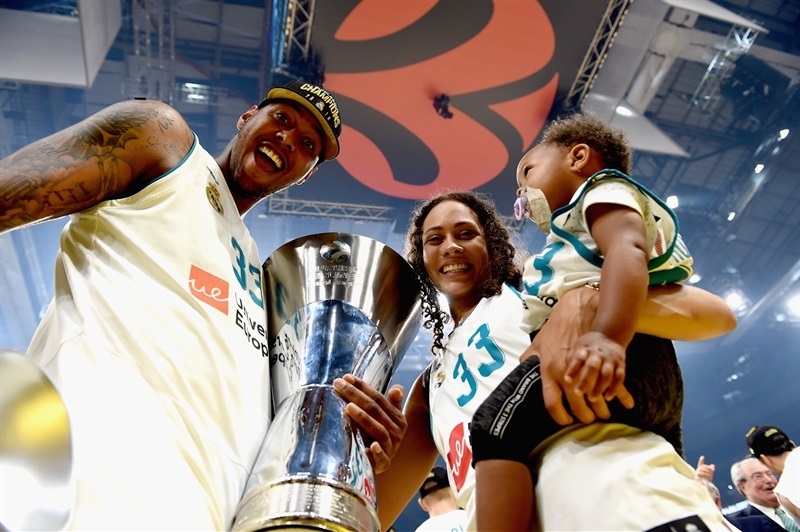 "Two years ago with Baskonia we reached the Final Four and it was not possible to win. Today I made shots and when that happens, it gets easier. This team... Everyone said Real Madrid was not the same this year, but yet, here we are. We are family. We love each other from day one. I was the new one and I learned a lot from them. I am proud of these guys." "It's a final. Everybody is upset, but we cannot be excited one day to be here and be depressed the next one. We have to be proud of the season and sad about the result. 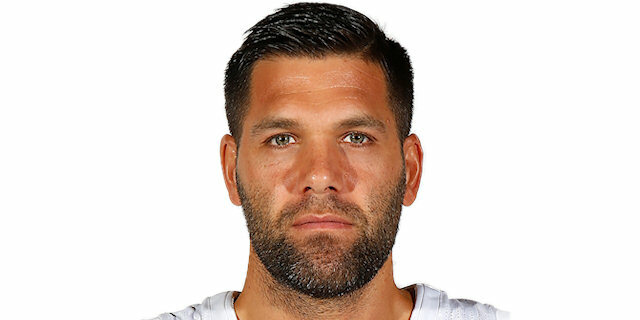 They led in the second quarter and the key moments went where they wanted." "You know, it's tough to lose like that. We're a little sad. We made a couple of mistakes we should have not made and that cost us the game. Either way, these guys did a great job this season; I am happy with this team. 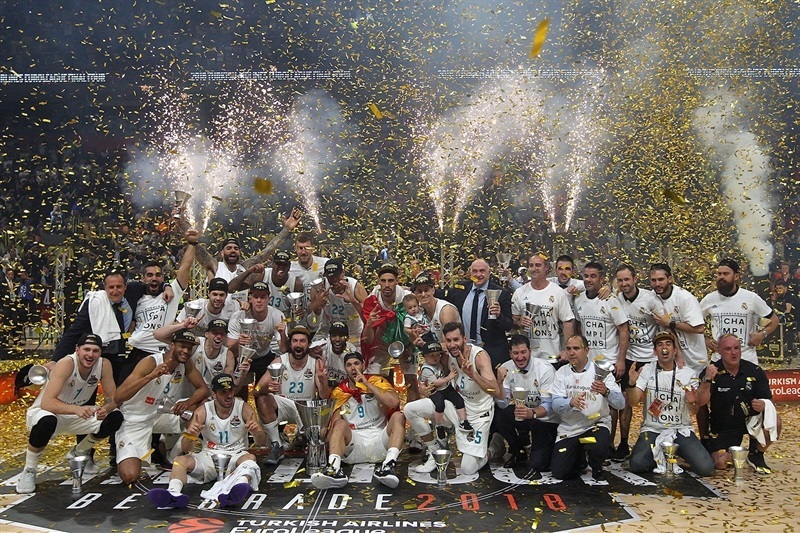 Madrid had the rhythm in offense and that gave them the game." "We fought for 40 minutes and that’s all we can ask for. I can’t pinpoint one thing that made the game. I wish we would have controlled it a little better. You can say that. But we fought, and that’s all you can ask for." "We feel terrible. We really wanted to raise the trophy in our city, especially me and some of my teammates. But what are you going to do? It wasn’t our night. They were really great. They played amazing basketball. We missed our chances. We missed two dunks, we missed two or three layups. We missed four or five open three-pointers. 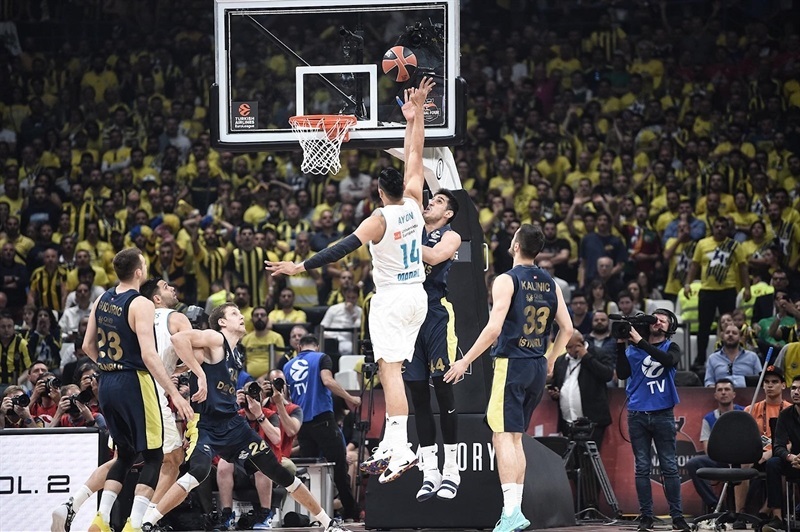 With those kinds of misses you can’t win in the EuroLeague final. They were better than us. They solved us. They found their things and the mismatches and congratulations to them."